Unbelievable! This living room is empty, and there's a Queen Bifold Murphy bed, chair and a 6 drawer dresser with tons of space left over! 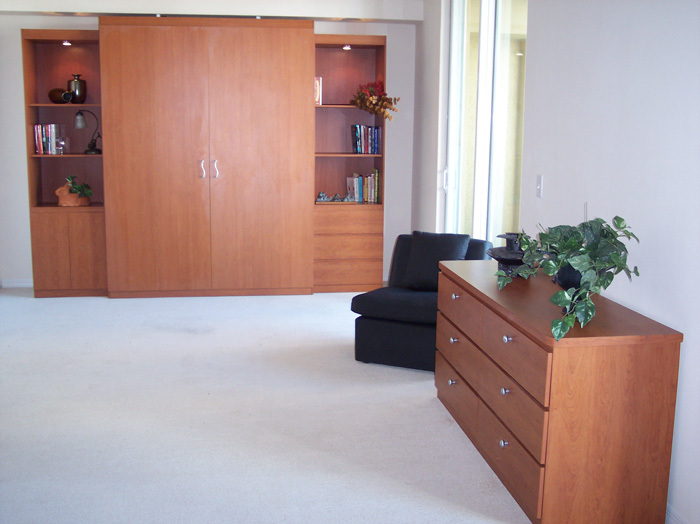 Example of a Bifold Murphy bed. There's many ways to accessorize your murphy bed either with cabinets, drawers, murphy sofa, closet space, lights, handles, glass shelves and many more hardware accessories available. Thermo foil packages are also available. 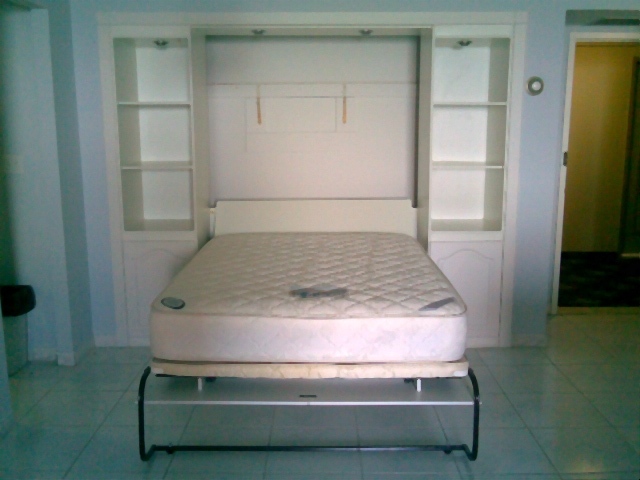 The Murphy Bed, invented in the 1900's by William Lawrence Murphy Born In (1876–1959). The space-saving Murphy Bed folds into a wall closet. 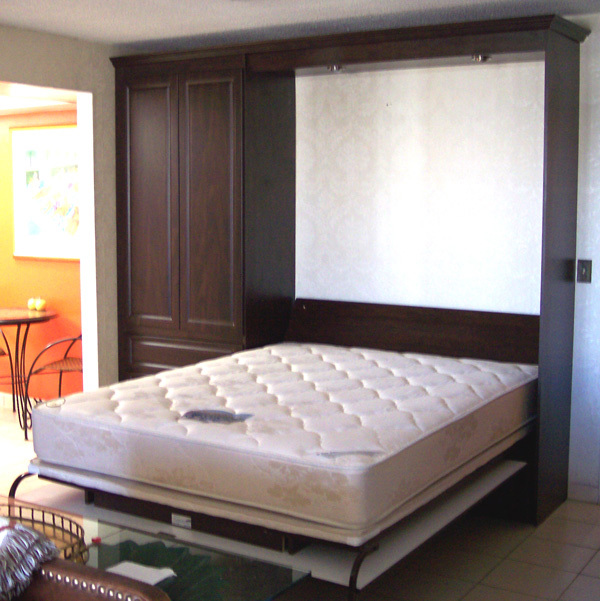 Murphy formed the Murphy Bed Company, the second oldest furniture manufacturer in the United States. Murphy patented his "In-A-Dor" bed in 1908, however, he did not trademark the name "Murphy Bed". 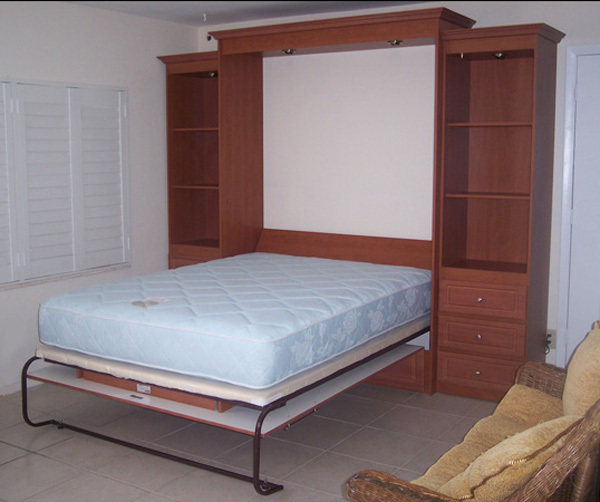 The Name "Murphy Bed" Refers to The Type of bed it is, Because it hides into a cabinet. Or like many years ago, It actually hid into the wall. Therefore getting it's name a "Wall Bed". 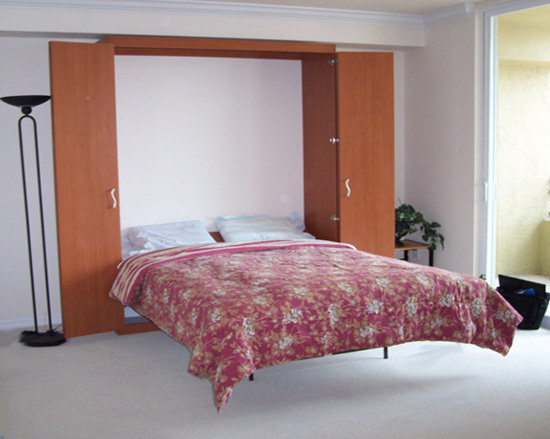 Example of a Panel Murphy bed. If you see this truck parked in front of your building, It means another Quality Murphy Bed job is being installed. Our Drivers are polite and courteous feel free to stop them and ask any questions you might have about murphy beds or how they work. for your next murphy bed purchase. 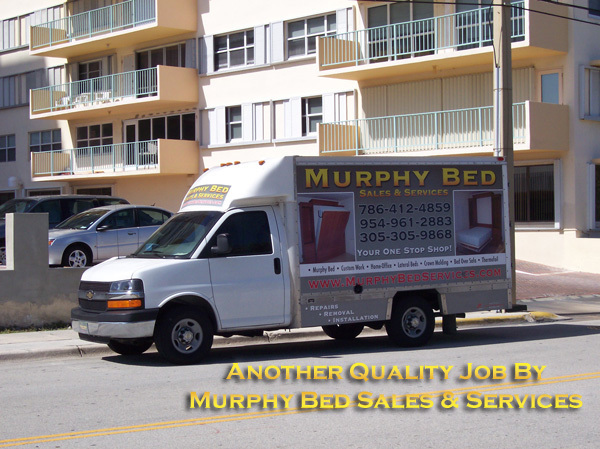 ®Murphy Bed Services Inc. Your One Stop Shop.